Dreamforce missed a start in the Group One Kennedy Mile but has won a consolation carnival race at Flemington. Trainer John Thompson will consider a trip to Perth with Dreamforce after the gelding led throughout to claim a stakes race at Flemington. 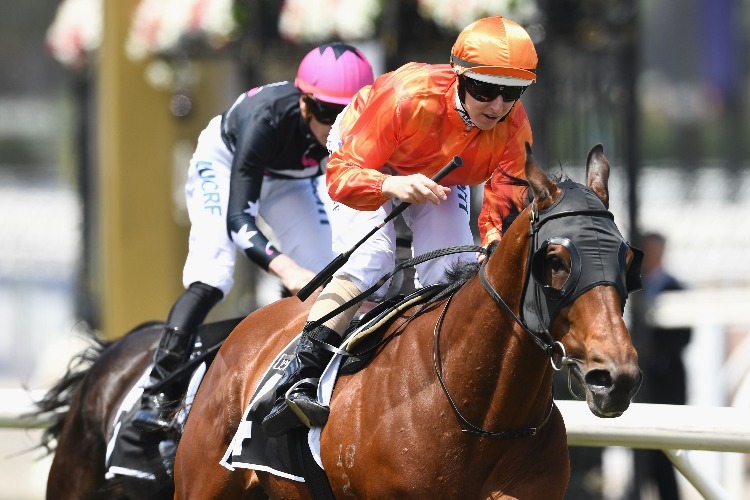 Victory in Saturday's Group Three Chatham Stakes over 7 f was some some consolation for the connections of Dreamtime missing a start in last week's Kennedy Mile at Group One level. Ridden by VRC Oaks-winning jockey Damian Lane, Dreamtimer ($7) scored a half-neck win from Widgee Turf ($6.50) with Perast ($10) a short-neck away third. Thompson said Dreamforce was among entries for the Group One Railway Stakes at Ascot on November 24. "We'll come through this race first and see where we go to," Thompson said. "He's nominated for the Railway in Perth or we might just put him away for the autumn. "We'll talk it over with the owners and make a decision." Thompson said Dreamforce would be suited in Perth with the Ascot track often favouring on-pace runners. The Thompson-trained Gathering won the Railway Stakes in 2010 with the trainer describing Dreamforce a similar type. "He ticks all the boxes for it but if you do go there then it probably rules you out of the autumn so we've got to decide what we'll do," Thompson said. Dreamforce has now won nine of his 21 starts with Thompson saying the gelding gives 100 per cent every time he steps out.